This data comes from the 2015 B2B Content Marketing Trends report from the Content Marketing Institute and MarketingProfs. 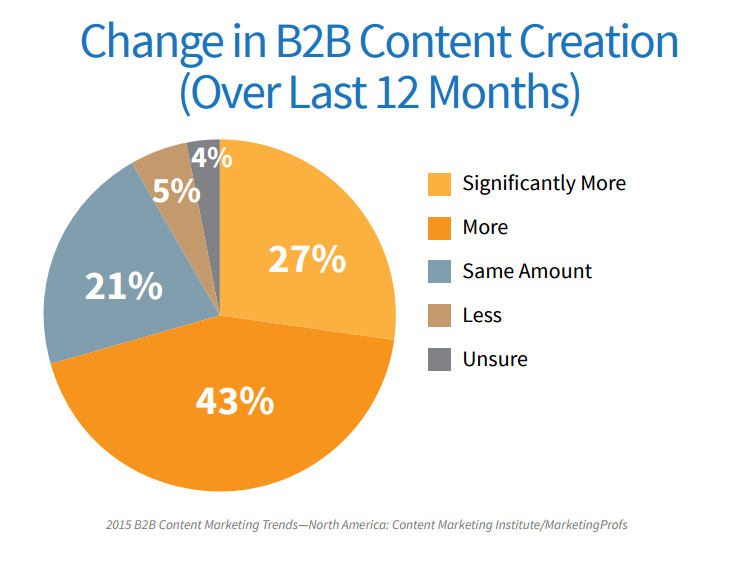 So B2B marketers are furiously creating more content. Why? Well, they’re probably looking at the results of their B2C colleagues in content marketing. Smart move you think, but nowadays everybody is creating more content and volume is certainly not the answer. If you’re looking to follow excellent thought leaders in the B2B marketing space (brands and individuals alike) be sure the follow the account in the list below. 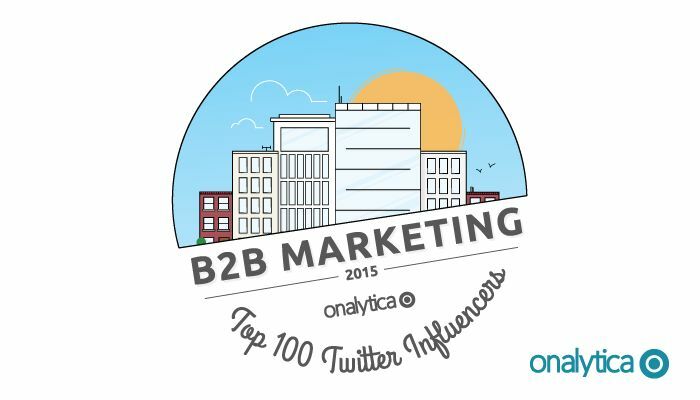 At Onalytica we love building these lists and want to provide great insights for digital communities. If you’re interested in other topics (such as Machine to Machine, Wearables, Internet of Things, …) be sure to have a gander on our blog or why not propose some topics to us on twitter? We also build some very cool software to manage all of these influencers. Get a free demo today by clicking the button below! Disclaimer: As ever with these lists, it must be stressed that the ranking is by no means a definitive measurement of influence, as there is no such thing. The individuals and brands listed are undoubtedly influential when it comes to driving discussion in B2B Marketing.